Good afternoon and welcome back to day seven of our advent calendar. Todays giveaway is a little treat for all the mummy’s who are busy working to achieve a wonderful Christmas. Poppy Sparkles owner, Viv Smith, designs and makes beautiful jewellery that is perfect for every day and for special occassions. 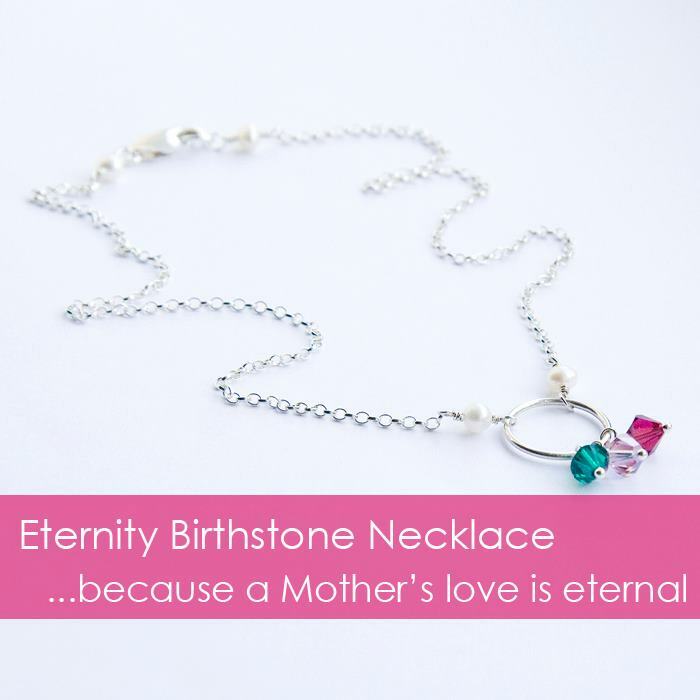 Her birthstone mummy necklaces are a firm favourite amongst her customers both here in the UK and around the world. These beautiful necklaces are the perfect gift for a new mother, a grandmother or an old timer like me! The simple birthstone system allows the wearer to purchase more charms everytime a new child or or grandchild is born. Todays prize is from Poppy Sparkles Shimmer Collection, that adds the perfect finishing touch to any LBD this party season. 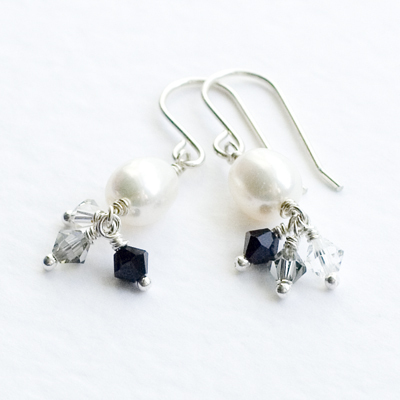 These earrings are made using clear, black diamond and jet black Swarovski crystals and a single freshwater pearl on silver fittings. Visit Poppy Sparkles and leave a comment below stating which of their products you would most like to find under your tree this Christmas. Saturday 10 Decemeber 2011. This giveaway is open to UK residents only.